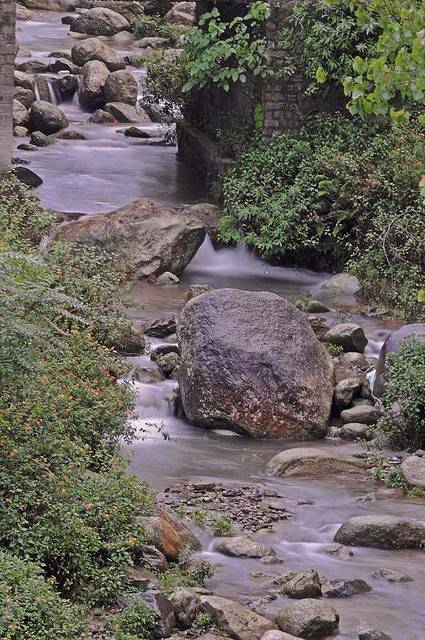 About 2km from Palampur, Bundla stream is a perfect trekking getaway. This is a wide chasm, more than 100m wide, and is surrounded by beautiful forests and mountains.This trek route offers a beautiful view of the scenery around. During the monsoons the chasm swells up as the water gushes through taking away everything in its way and making thunderous sounds. The Bundla Stream is as close as it gets for a perfect walk in midst of greenery.